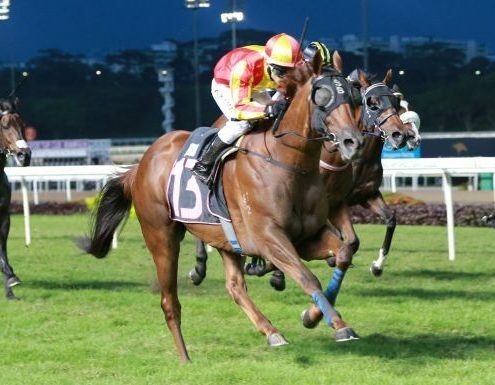 It may be early days, but Not A Single Doubt four-year-old Glasgow has stamped his Derby credentials with a pulsating come-from-behind win in the $70,000 Kranji Stakes C race over 1600m on Friday night. Unsighted for most of the way, the former Victorian one-time Pakenham winner (1600m) must have had those who had plumped for his $27 odds looking skywards for a divine intervention when the 14-horse field swung off the corner. As he was peeled to the outside for his run, he had about eight lengths to make up and that was provided he found daylight behind a phalanx of horses. 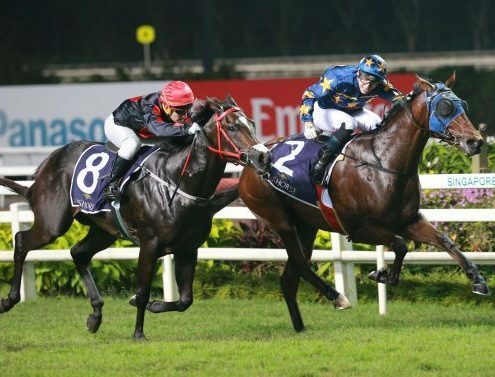 Glasgow (Noh Senari) flashes home late to take out the Kranji Stakes C race on Friday. Upstream, race-leader Super Dynasty (John Powell) was struggling to hold the fort as Sun Marshal (Vlad Duric) and Gold City (Michael Rodd) descended onto him. Gold City finished a shade better, but it would not matter much as he was about to be obliterated by a speeding bullet that had been sling shot from the 300m. After finding acres of land on the outside, Glasgow, with Noh Senari riding hands and heels, was powering home at the rate of knots, almost as if his rivals had been tacked to the ground. The Steven Burridge-trained galloper eventually went on to score a soft 1 ¾-length win from Gold City with Sun Marshal third another 1 ½ lengths away. Glasgow ($27) clocked the smart time of 1min 34.87secs for the 1600m on the Long Course. Burridge said he had all but given hope at the point of the turn, but Glasgow’s turbo engine saved the night – and could have him dreaming bigger all of a sudden. 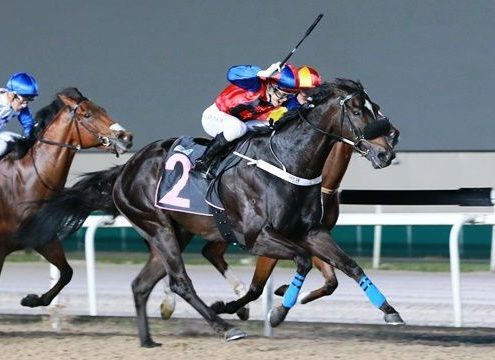 “After two furlongs, both my horses (he also had Lim’s Revent) were back at the rear and at the top of the straight, they were like 12 lengths behind,” said the Australian handler. 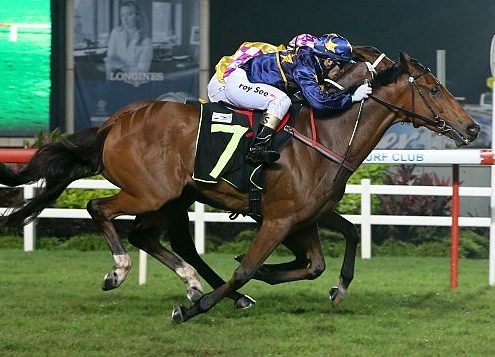 Considered as the pinnacle of four-year-old races, the Group 1 Singapore Derby (1800m) will be run on July 21 this year. Burridge praised the contribution winning rider Noh Senari has brought to not just Glasgow’s win but to his yard’s success this season. 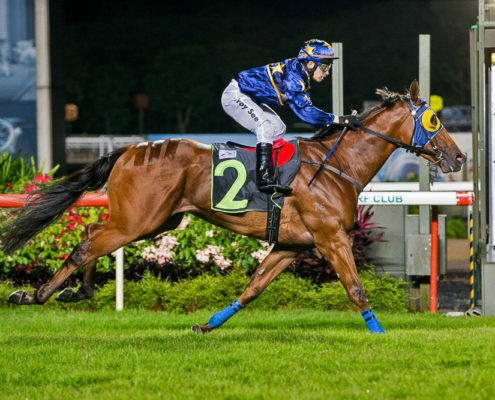 Five of Burridge’s eight wins in 2019 were ridden by the former enfant terrible of Singapore racing, but who has turned the corner and is now letting his riding do all the talking. 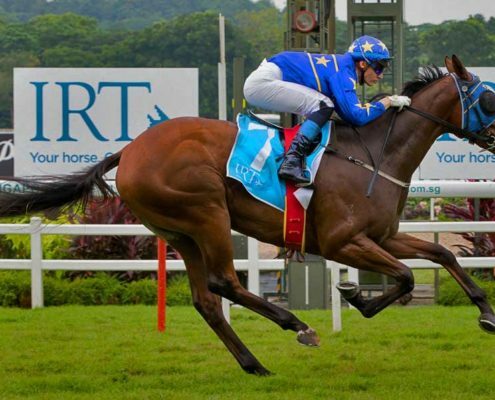 “Noh is riding in great form and has been a big part of our success this year,” he said. 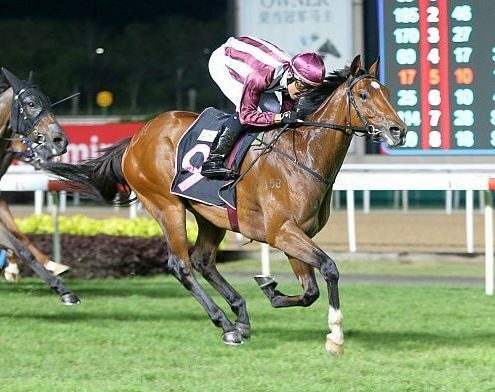 The Singaporean jockey was at another riding double (his third for the year) which has propelled him to the top on 15 winners, one clear of Singapore two-time champion jockey Vlad Duric, who won one race aboard Red Riding Wood on Friday. “I was given no instructions. Just let him run relaxed,” said Noh. “At the 700 or 800m, I wanted to improve, but there was no room. Up the straight, I pushed him and didn’t have to use the whip at all. When told that Burridge might be toying with the Derby with the horse known as Mujaadil in Australia when trained by disgraced trainer Darren Weir, Noh was, however, not about to leave the corner of a Grey Wonder who had won him over much earlier. “I have no doubt Glasgow can run a mile, but I’m not sure about the Derby,” he said. 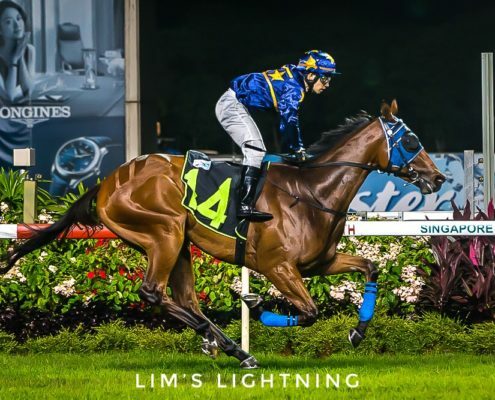 With all four wins from the Leslie Khoo-trained son of Darci Brahma under Noh’s guidance, it’s easy to understand the soft spot the Singaporean lad has for the grey flash, who also has a signature grandstand finish. Glasgow has now taken his local record to two wins and two placings from five starts for prizemoney in excess of $80,000 for the MMW Stable.